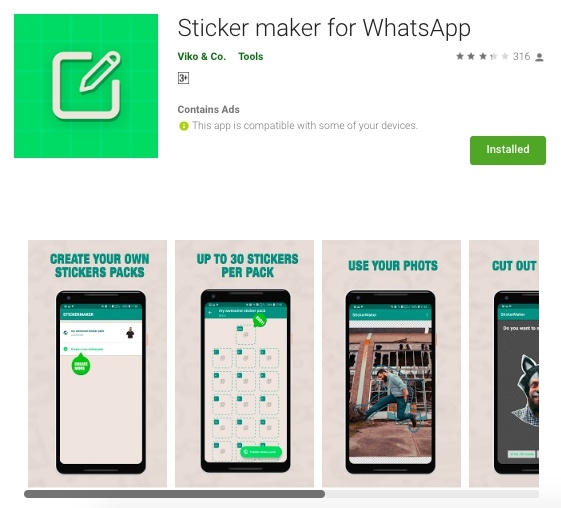 If you use WhatsApp u also see a photo stickers which are going on trends right now, you know the app recently got the ability to share stickers on Android and iOS. While WhatsApp gives you a ‘small collection’ of Sticker packs to start with, you could head to the Play Store to download and install various other sticker packs (just make sure you read all the reviews carefully before installing any sticker packs). 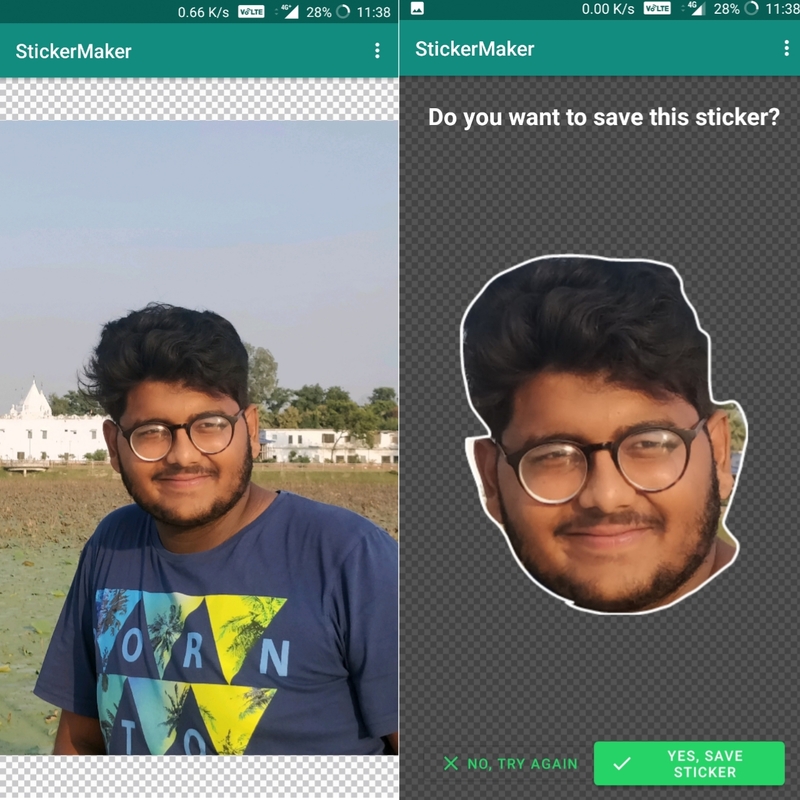 But, what if I told you that you could create own sticker pack with your faces or with any photo you want? Head over to the Google Play Store and download ‘Sticker maker for WhatsApp’ (Free) on your Android device. 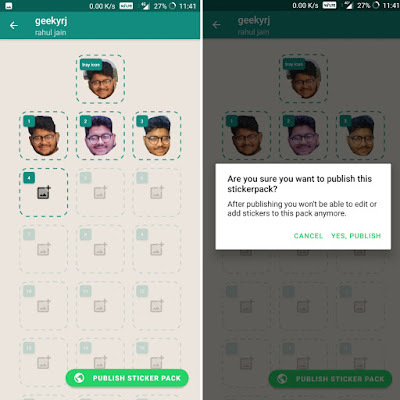 Open the app and tap the ‘Create a new sticker pack’ button to enter a sticker pack name and author before hitting the ‘Create’ button in the pop-up. Now, you will need to first set up a tray icon (the one seen in the carousel to help you identify the sticker packs) by tapping the larger icon on top of the next screen, which lets you click a photo instantly, or pick one from your gallery. Once you’ve selected an image, you can then crop out the parts you don’t want from the image to make your own sticker and hit ‘Yes, Save Sticker’ to add that sticker to your pack. 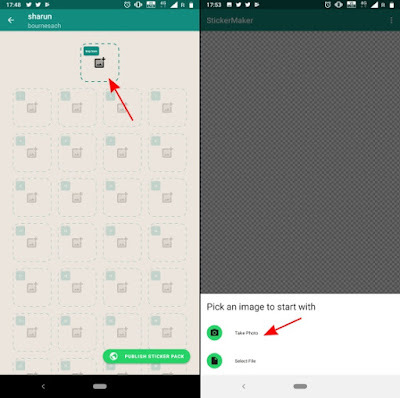 Now that you have a tray icon for your sticker pack, you need to follow the same process as in Step 4 above to make all your individual stickers. 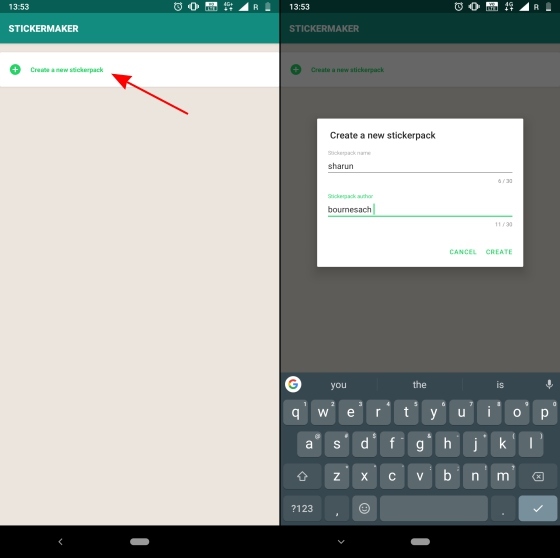 And finally, you need to hit the ‘Publish Sticker Pack’ button at the bottom right. 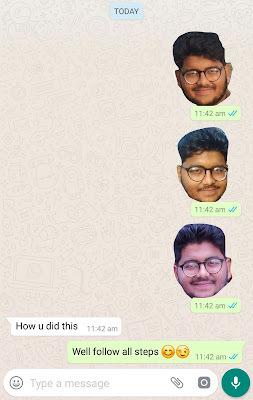 Now that you have published your own Sticker Pack, all that’s left to do is add it to WhatsApp by hitting the ‘Add to WhatsApp’ button at the bottom. Done! 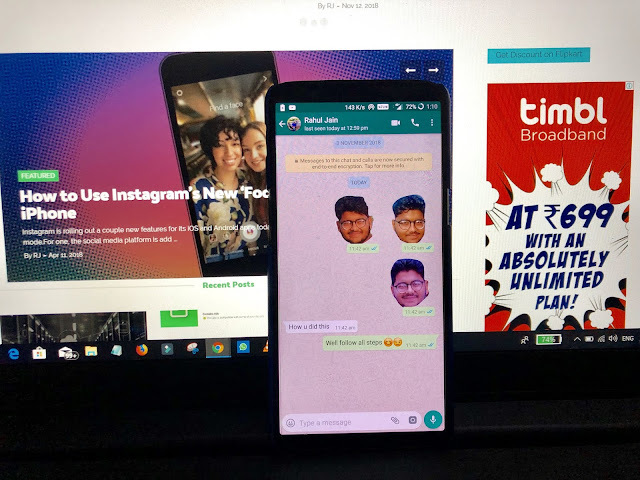 Finally, head over to WhatsApp, tap the ‘smiley’ icon and navigate to stickers to view your creations and send it over to friends! Cool, right?